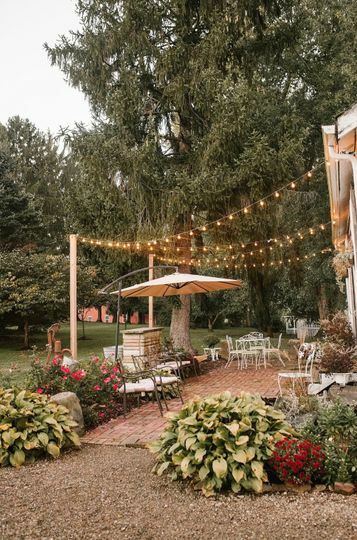 Shady Elms Farm is an elegant countryside wedding venue in Hickory, Pennsylvania. 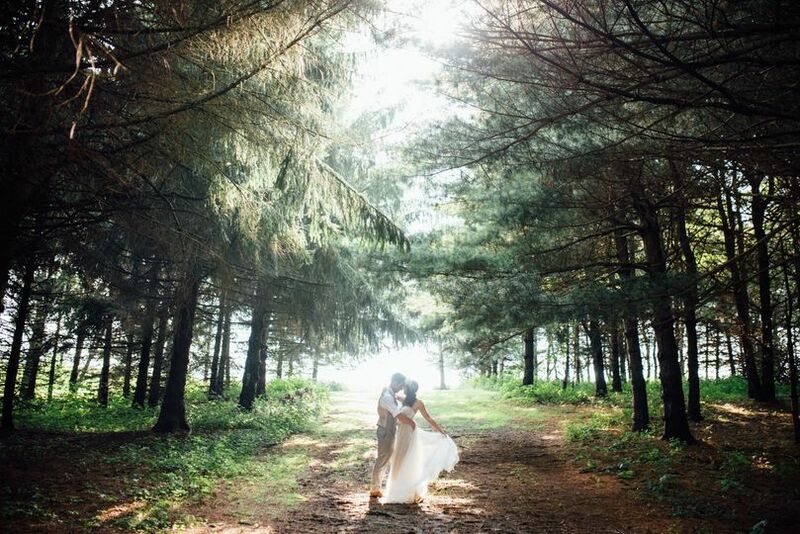 This farm and venue offer a once in a lifetime experience in the secluded countryside of Pennsylvania. 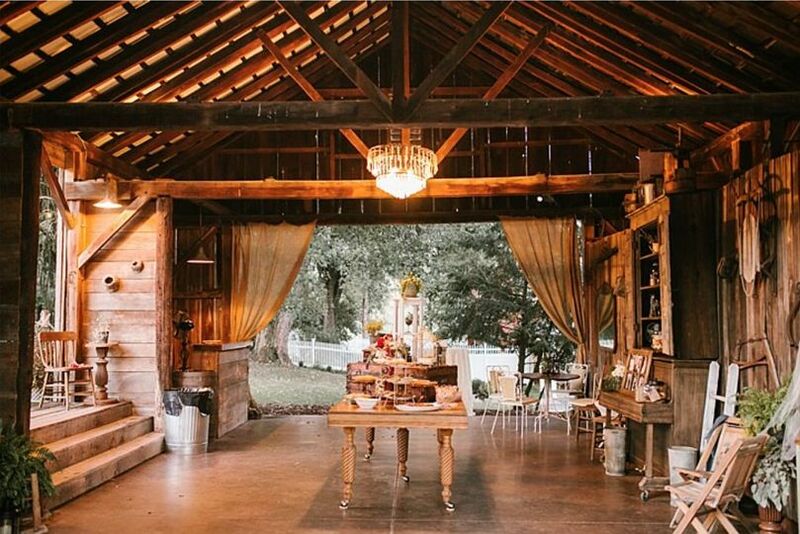 The venue offers acres of rolling hills, an elegant farmhouse, and a rustic cottage to serve all of your event needs. You’ll be able to enjoy its historic charms as well as luxury amenities, all while the event staff executes your wedding plan flawlessly. 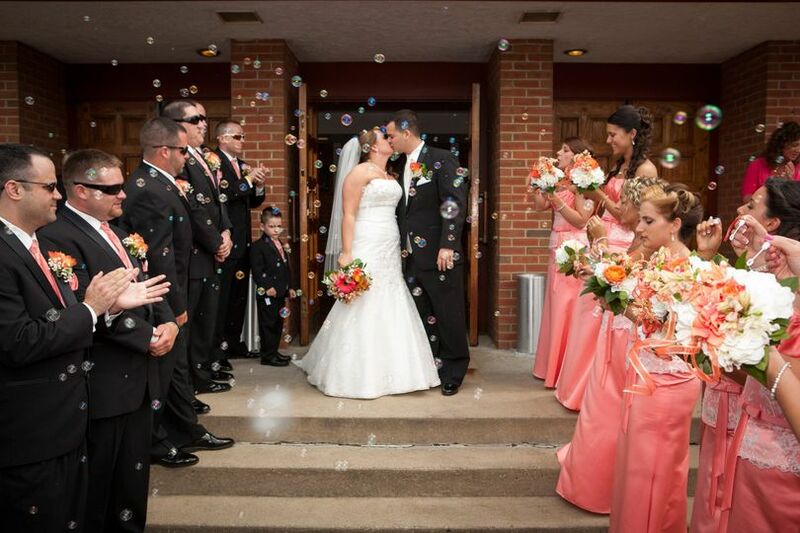 Choose Shady Elms Farm for a truly unforgettable wedding experience. They deliver nothing less than the best for your special day. 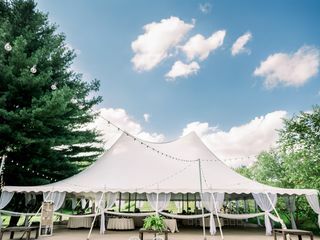 Shady Elms Farm provides both indoor and outdoor venue spaces to serve for your ceremony and reception. You can start the day in the luxury bridal suite, where your wedding party can get ready and enjoy a complimentary bridal luncheon before the ceremony. You will then make your way to the shimmering pond, where a vining arbor serves as the chuppah or altar for a quaint outdoor ceremony. 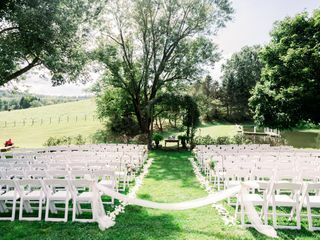 Shady Elms Farm will provide white wooden chairs for guests, and can decorate the pond ceremony space as you desire. At the entrance to the ceremony space is a chicken coop to serve as your welcome station with guest book and gift table. After the ceremony, your guests can enjoy cocktails at the Carriage House, where both an indoor and outdoor bar and seating area can be found. Inside guests will delight at the rustic exposed beams and crystal chandeliers, while others will relax on the brick patio. 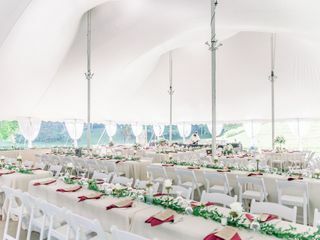 For your reception, you may choose between the 120-year-old barn, accommodating up to 250 guests, or the stained concrete patio, a perfect outdoor space that can hold a 350 guest capacity tent. The stained patio has an inlaid dance floor and is close to the pond, providing a lovely view for guests. The outdoor venue space also features a luxury restroom trailer. 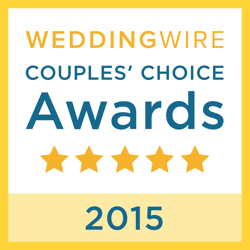 Shady Elms Farm is family owned and operated, providing exceptional service for every couple and their guests. You will work with an event coordinator to plan, prepare, and execute your special day down to the last details. They offer exceptional catering and bar services, with barbecue, Italian, and farm to table meal options. Coffee service is also included with dinner and dessert. 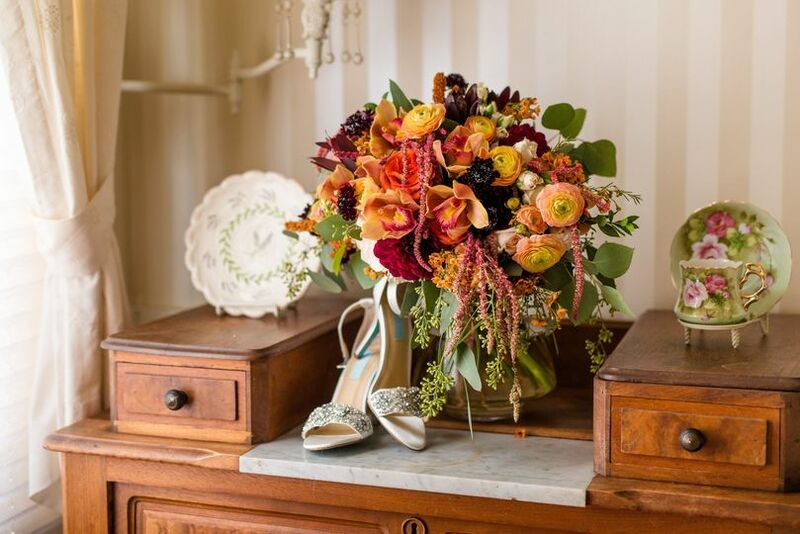 Shady Elms Farm provides their own floral arrangements for both your personal and venue flowers. 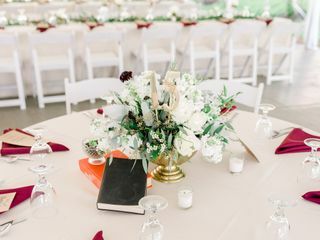 Tables, chairs, plates, and silverware are available onsite, along with a variety of rustic decor rentals. 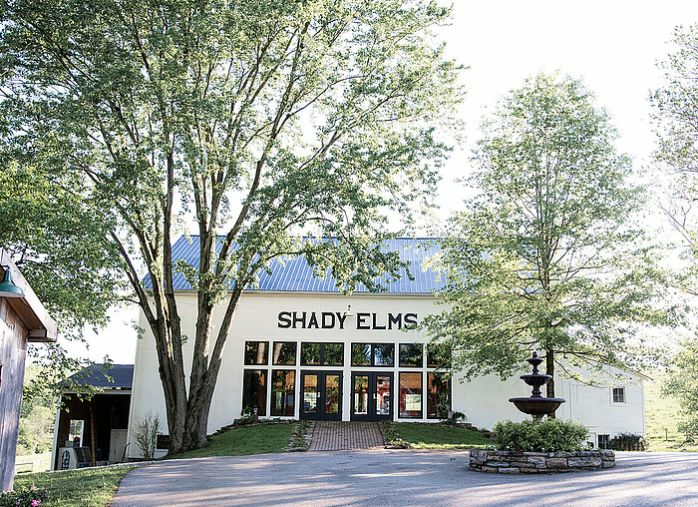 Our guests cant stop raving about Shady Elms Farm!!! The grounds are so beautiful, whimsical and unique! We loved having a variety of structures on site to use throughout the day as we were having a single site wedding. The staff at Shady Elms is unbelievably through and experienced. 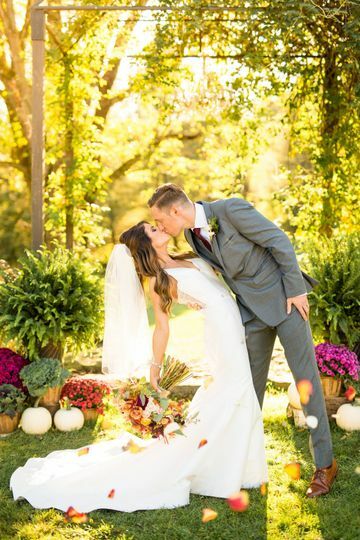 Your Shady Elms coordinator will help custom design your florals, linens and decor to fit your unique style and it could not have been more perfect!! 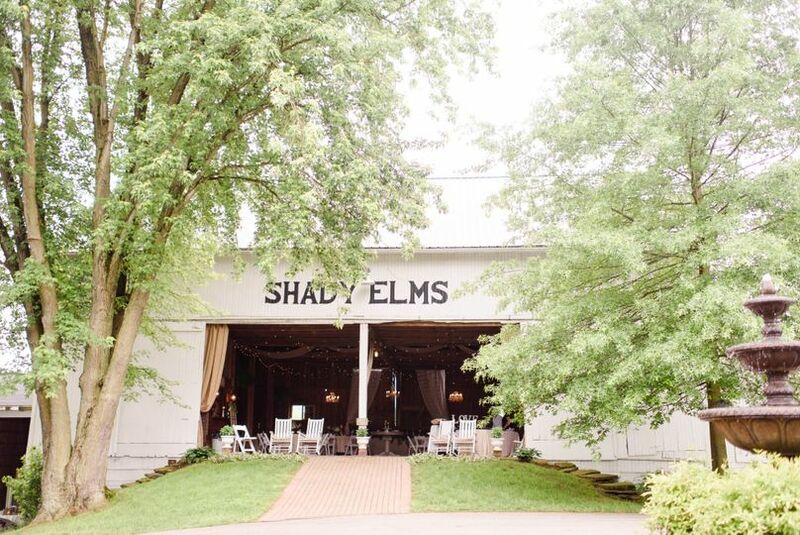 We love how Shady Elms took care of so much of the wedding day coordination and for what they don't provide they give a recommended vendor guide!! 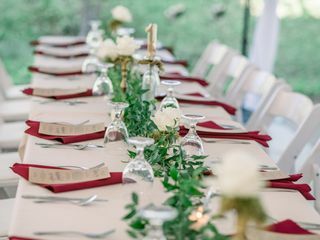 It took a huge weight off our shoulders during wedding planning with the help of Shady arms staff, their trusted vendors, AND the caterer Patty of PW Catering!! Patty was great at recommending volumes and helping plan your first meal as husband and wife, and most importantly DELICIOUS!!!! Jane and Mikayla kept everything running on time and handled any wedding day concerns efficiently and with great professionalism. 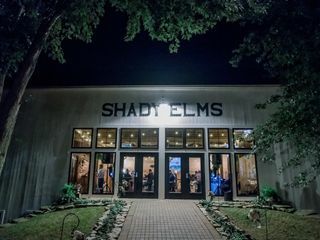 Would recommend Shady Elms to anyone looking for a rustic escape wedding in the Pittsburgh area!! 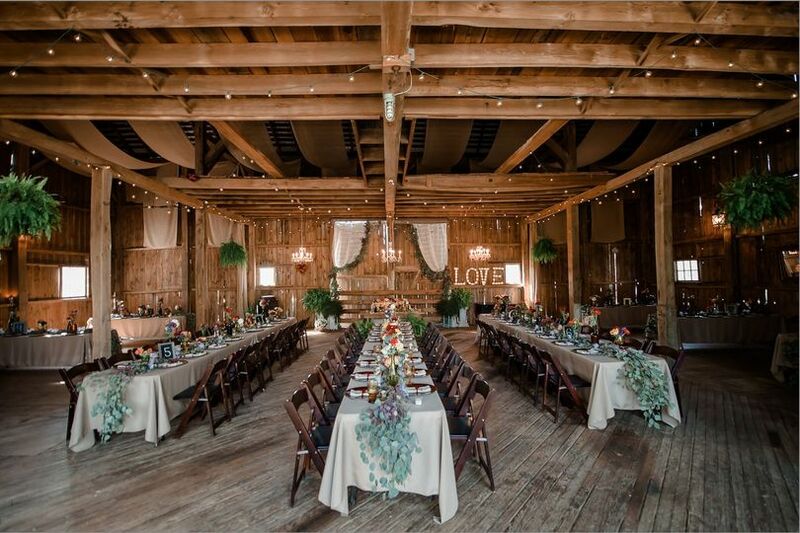 If you are looking for a beautiful rustic venue with a low stress wedding look no further! I can't stress enough how wonderful the family is at Shady Elms Farm. 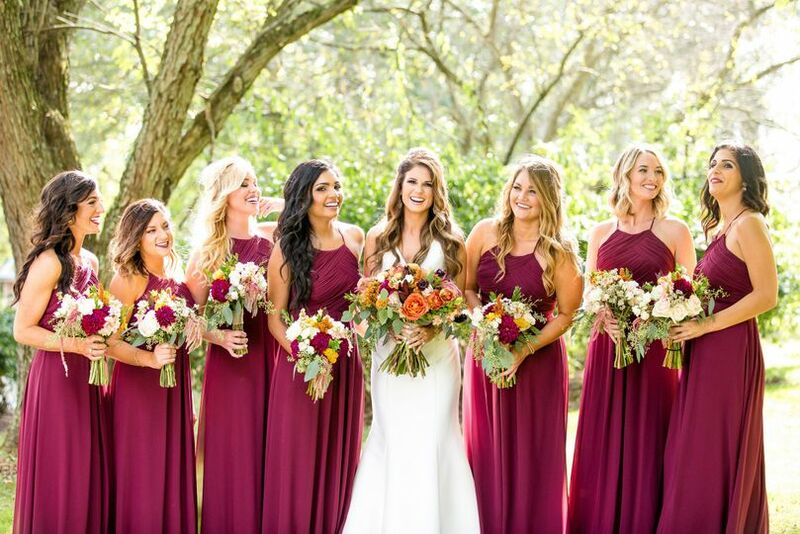 They design the beautiful flowers, give you decorations to choose from on the big day, they work with a fantastic caterer, and you get to have multiple style meetings with the staff to ensure everything is perfect. On the wedding day, my guests said what an absolutely beautiful venue it was and how everything was so unique. It was seriously something out of a Martha Stewart catalogue! I wouldn't have changed a thing!!! This venue is perfect for a wedding. Best of both worlds, being able to photograph in numerous locations on the property. The barn was great for the reception, with room for the live band.  You can view a virtual album from a wedding we photographed there last September in the video gallery on my storefront.